Juried markets and why do it? Open markets and festivals can either be open to all vendors who are interested in attending, or they can be juried, meaning the participants are judged based on the quality of the work. This is usually the case with art fairs where there are many artists who fill out applications to attend and the organizers are tasked with reviewing the artwork before final approval. This kind of applicant competition doesn’t have to be based on artwork, it can be for any type of craft such as food, services and more. One thing is very important to consider. If you have a limited number of spaces for vendors, or you wish to maintain a high quality vendor selection, this is the way to go. The idea is to pick the best or highest quality among your applicants so your market attracts and continues to attract people to your festival. Festival organizers who are looking to maintain a good turnout year after year should consider using a juried process as part of their vendor selection. How do you effectively manage the review process? The review and ranking process is relatively simple. You basically create a short list of applicants based on a criteria such as quality of work, innovation, following, etc. This can be done with a numbering system or just a yes/no type flag. RegisterONE offers a built in method of ranking applicants with a 1-5 star system. From the vendor table, just click the Rank Set button and then select the number of stars you want to give them. You can also make notes about the vendor as well. Go through each one until you have enough to start processing them. From this point, it’s easy to approve the applicant or vendor by filtering by vendor category, then sorting by rating! 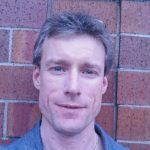 This works inline with the approval process, making the process quick and painless without having to go back and forth between a spreadsheet, Word docs and email to review and approve each vendor. Persistent rankings carryover from event to event. One of the nice things about your vendor rankings is that they are sticky, meaning they will carry over from event to event. This means that you only have to rank a vendor once, and it won’t be lost if they apply to another event! 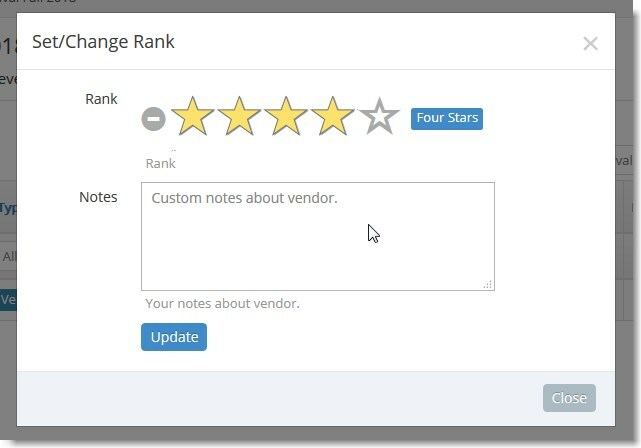 Quickly rank your vendors from 1-5 stars with additional notes. Founder of RegisterONE, application programmer and occasional vendor for Chimera Brands.